Join the Phelps – Land O’Lakes Lions Club in a community celebration on the 3rd Wednesday of July at Wavering Park in Phelps. 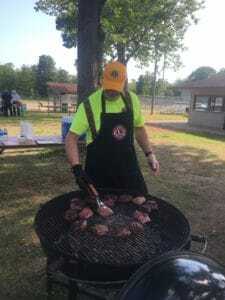 The annual Steak in the Park picnic is one of the Club’s yearly fundraisers to raise money for the various charities and community programs that we are dedicated to serving. Tickets can be purchased from Lions Club members and at select locations in the Phelps area. For more information about the event, please contact the Phelps – Land O’Lakes Lions Club. The evening continues to grow in popularity, so make sure to get your tickets early! Phelps is truly a beautiful little town and the community park is no exception, the perfect location for a community steak fry! The children can enjoy the fantastic playground, and all ages can take advantage of the baseball field and basketball court. Fresh air, green fields and trees, and the happy greetings of old friends will be sure to warm your heart when you join us for the annual Steak in The Park! Satisfy your hunger and your heart with a juicy charcoal grilled steak dinner, complete with all the fixing’s! Lions Club volunteers grill each steak to order with big smiles for all. Baked potatoes, salad, rolls and even homemade dessert come with each dinner ticket. Hot dog dinner tickets are available for kids under 12, and beverages will be served throughout the evening. 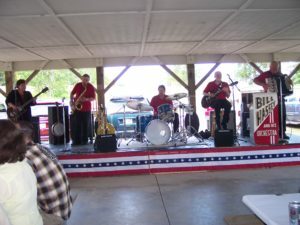 Great live entertainment tops off the event; the evening has been previously graced with the music of the Bill Hassey Orchestra, performing all your favorite classic sounds from polka and country to old time rock and roll. While you are tapping your foot to the tunes, don’t forget to grab some raffle tickets for a chance to win some great prizes! 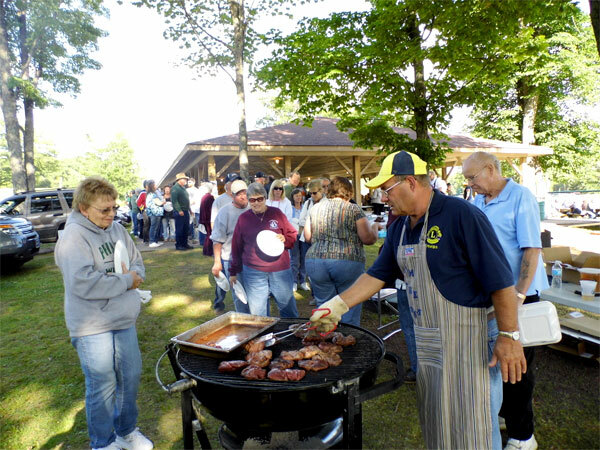 Join the Lions Club in Phelps on July 19 For a Tasty Steak Fry!